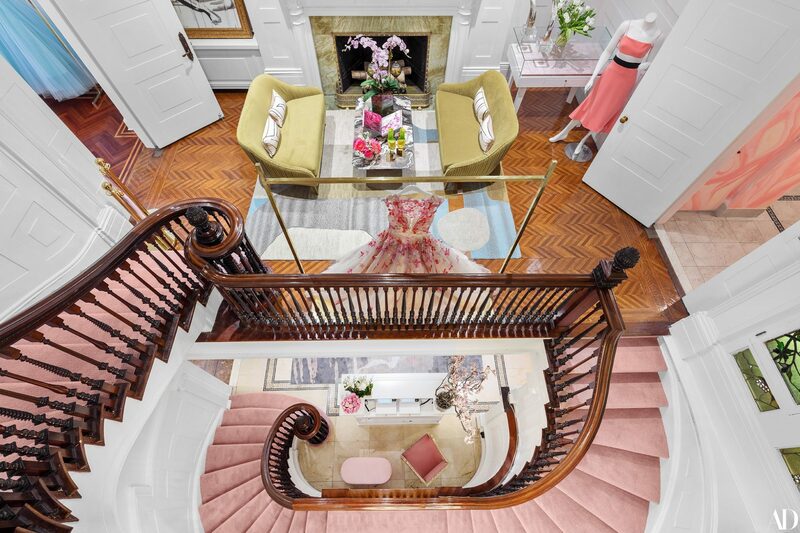 11 Honoré To Take Residency at Christian Siriano's The Curated Boutique! Looking to do a little plus size luxury shopping, in person, in New York? Then you need to check out 11 Honoré at Christian Siriano’s Boutique, The Curated! Where are our luxurious babes at?! If you are looking for a little bit more luxury and high end plus size fashion, then this one’s for you! The plus size luxury e-commerce platform, 11 Honoré is teaming up with Christian Sirano’s The Curated, for a pop-in residency starting on November 30th, just in time for the holiday season! The residency will end on December 30th. High end plus size shopping. In Person. In New York? What is 11 Honore at The Curated? What is a residency? The Curated is a multi-brand boutique located at 5 West 54th Street in New York, featuring luxury clothing, jewelry, bags, fragrances and more! Actually, The Curated is a restored townhouse, with a winding climb of 3 levels of retail space! For The Curated, each floor is breathtakingly stunning. And guess what? Plus size women will get to partake in the luxurious experience, too! 11 Honoré at The Curated will feature styles from brands such as Brandon Maxwell, La Ligne, Prabal Gurung, Sally LaPointe, Victor Glemaud and Zac Posen, in sizes ranging from 12-24. 11 Honoré will take residence in the “light flooded living room on the second floor,” giving us exclusive designer collections to fully experience, offline! And, guests who visit The Curated during the residency time period will be able to order Christian Siriano pieces. 11 Honoré‘s glow-up has been amazing to witness! Since it’s humble start in August 2017 carrying 15 brands, it has grown to house nearly 80 designers that cater to women from sizes 10 through a 26 (in select brands). Hours of Operation: Monday – Saturday, 12:00 pm – 6 pm. Sunday 12:00 pm – 5:00 pm. You can learn more and shop online, at 11Honore.com! Ladies, what do y’all think of this? What brands are you most looking forward to checking out? New York curvies, will you be attending? Please make sure to share your pics on social media and tag us!